Gentlemen, It’s inevitable. Getting older will creep up on all of us and present itself in one form or another. For some, it shows itself as graying hair, back and joint problems, or decreased energy. However, some men show clear signs of thinning hair, or have a bald spot growing on the top of their head. What if it isn’t that black and white? What if you start showing signs of thinning hair at an earlier age such as 25 or 30. What then? A guy’s feeling of being “macho” or “manlike” is affected when they experience hair loss at an early age. Losing hair when you’re older is expected, but it’s very stressful to see your hair becoming thinner at such a young age. Is your hair decreasing in size because of hereditary reasons? Is it your diet, or is it just stress? The truth is, it could be one or a number of these factors causing hair loss. What happens and what solution is there to help stop this condition from spreading across your entire scalp? 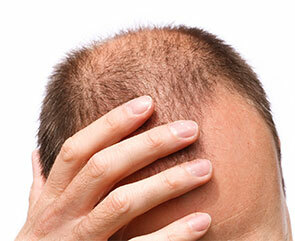 We’re going to take a look at three common reasons for hair loss: diet, stress and classic male pattern baldness (MPB). 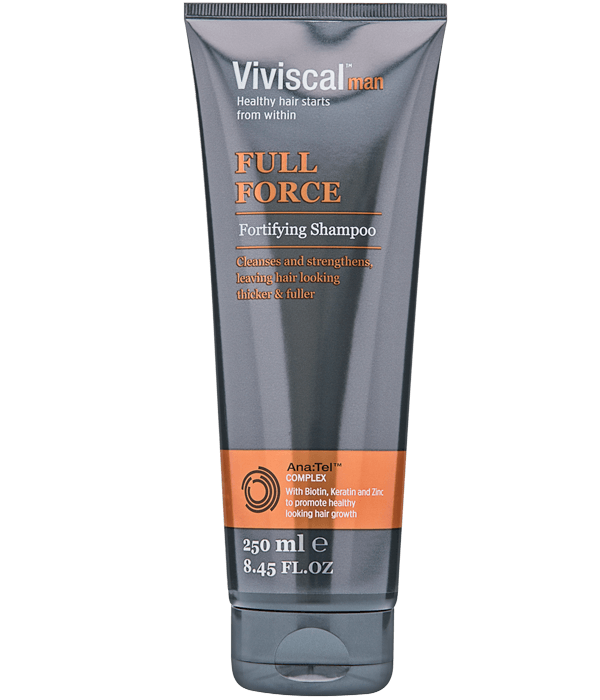 We’re also going to see how Viviscal, the #1 selling 100% drug free supplement can help you on your stressful journey into obtaining the best nutrients for hair growth. It’s normal to lose some hair every day. After all, we have around 120,000 hair follicles with each follicle holding between 2-5 hairs. We’re bound to lose some here and there. Poor diet can weaken your hair follicles making your hair less dense. Foods high in vitamin E, vitamin C, omega acids and zinc all keep your hair nice and strong. Vitamin C helps your body produce collagen, which helps your hair retain its strength. You can obtain vitamin C through foods like bell peppers, broccoli, oranges, tomatoes, almonds and sunflower seeds. Vitamin E helps to nourish your roots and scalp and is found in Flaxseed. Flaxseed is one of the best foods to eat to combat hair loss, or to give your hair an extra boost of nutrients. Omega-3 fatty acid is in this amazing little, yet powerful, nutrient, helping to prevent your hair from drying out and losing its shine. When you notice your hair falling at a faster rate than normal, a zinc deficiency might be the culprit. Zinc is a powerful nutrient, helping to promote cell reproduction, tissue growth and repair. It functions in the maintenance of the oil-secreting glands attached to our hair follicles. Common foods containing zinc are poultry, mussels, shrimp and oysters. Emotional and physical stress is inevitable in our lifetime, sometimes it can take a toll, depending on how severe the stress is. Our bodies handle this differently but there are two ways we lose our hair when stress is the factor; we develop telogen effluvium, which we discussed earlier as affecting the entire scalp. The other form of hair loss, called alopecia areata involves a white blood cell attack on the hair follicles. With this type of hair loss, the hair also falls out within weeks in a patchy formation. Another form of hair loss can simply be caused by age, nearly 60% of men go through some type of Patterned balding. Male Pattern Baldness occurs in men with a sensitivity to the hormone dihydrotestosterone (DHT) which is toxic to hair follicles. DHT prevents the follicle's’ ability to absorb nutrients and create healthy hair, causing them to minimise growth and ultimately dissipate. This process of growth restriction is also called Miniaturization; which is the shortening of the growing-anagen phase of hair. For men who are sensitive to DHT, over time, the growth phase in the hair cycle becomes so short that the follicles can appear very fine, light-colored and almost like thin wispy hairs. These wispy hairs can be seen scattered across the top of the head, unable to grow any longer, because of the follicles prolonged destruction. Regrowing your hair can be a challenge. 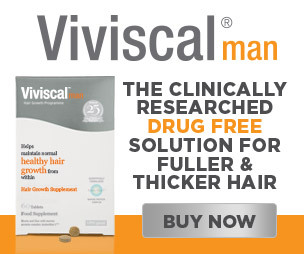 Viviscal is the #1 selling hair growth supplement in the U.S., Viviscal Man has been scientifically proven to nourish thinning hair and promote healthy hair which is naturally thick and full. We use only the best vitamins and minerals that will be absolutely beneficial to your hair; It’s also 100% drug free. Viviscal Man hair growth pills contain the exclusive marine complex AminoMar, as well as healthy hair nutrients including Vitamin C, Zinc, Horsetail (stem) Extract and Flax Seed Extract. Viviscal Man hair loss pills have been scientifically proven to nourish hair from within and to promote existing hair growth. Let Viviscal, the #1 all-natural hair growth supplement help you in your journey to hair growth and recovery. Learn More.